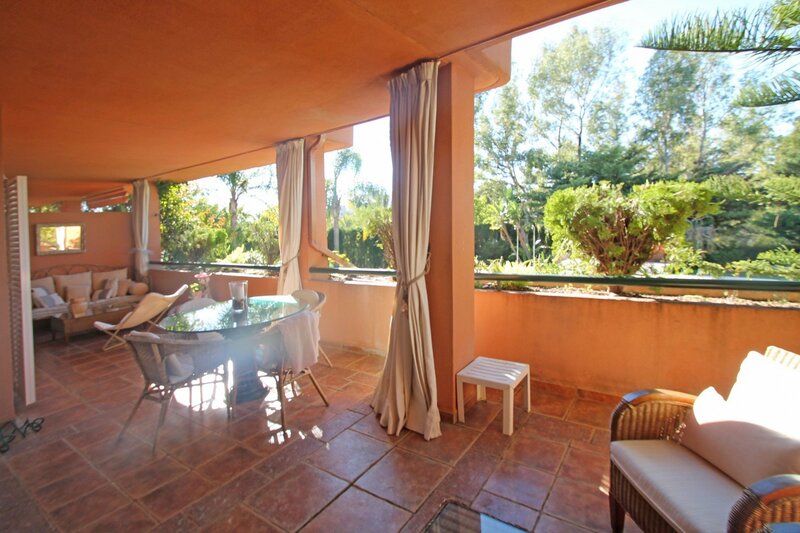 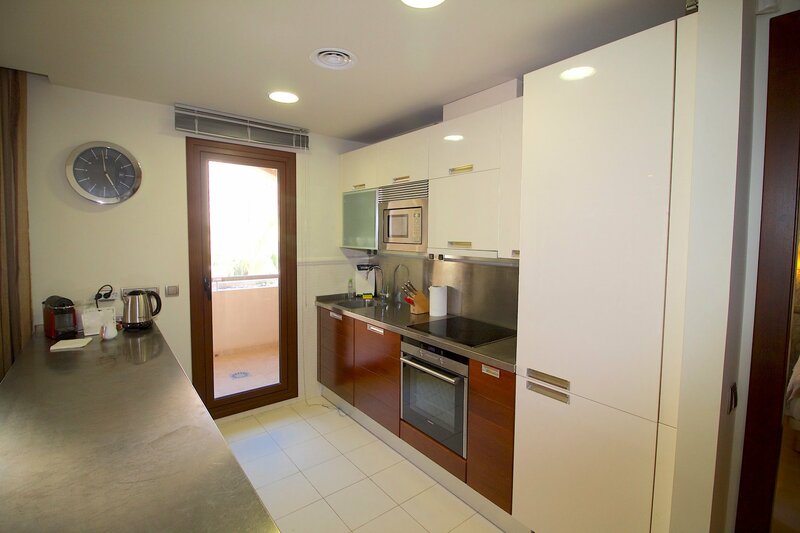 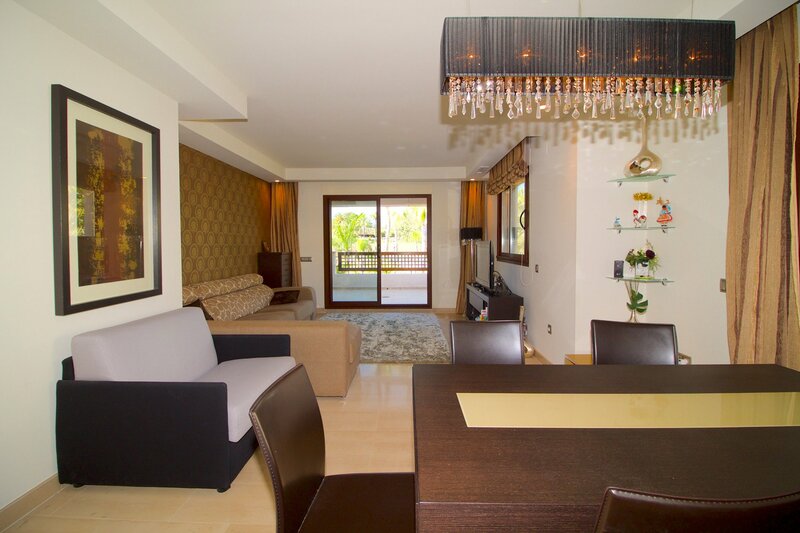 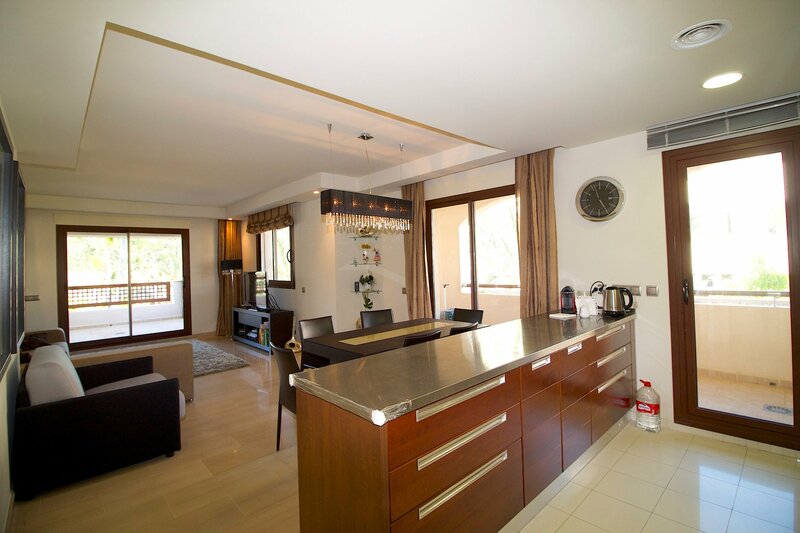 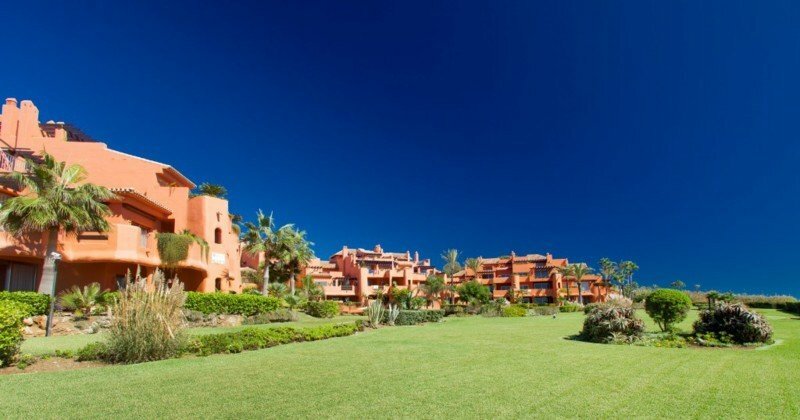 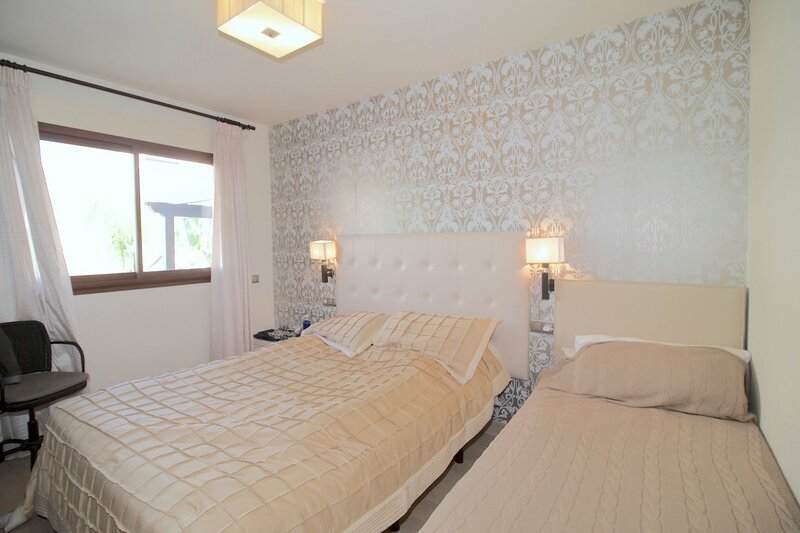 Excellent two bedroom apartment in the gated community of Medina de Banús, within walking distance to Puerto Banús, restaurants, shops, bars and all other amenities. 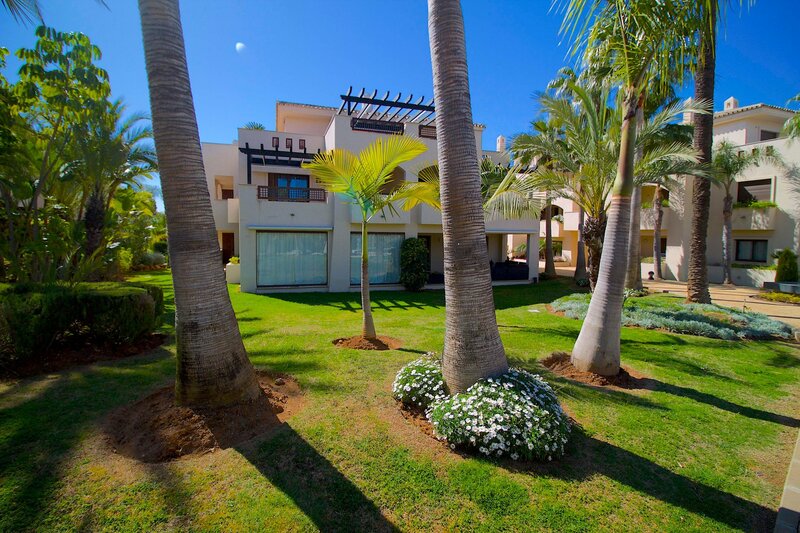 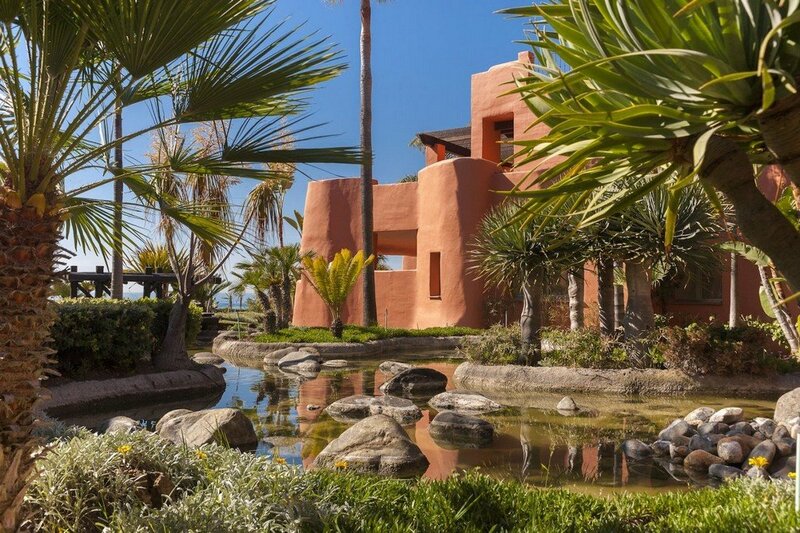 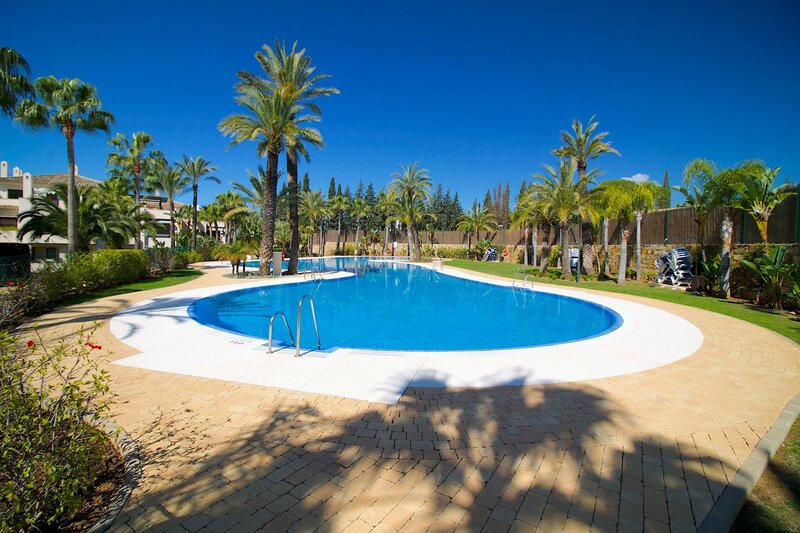 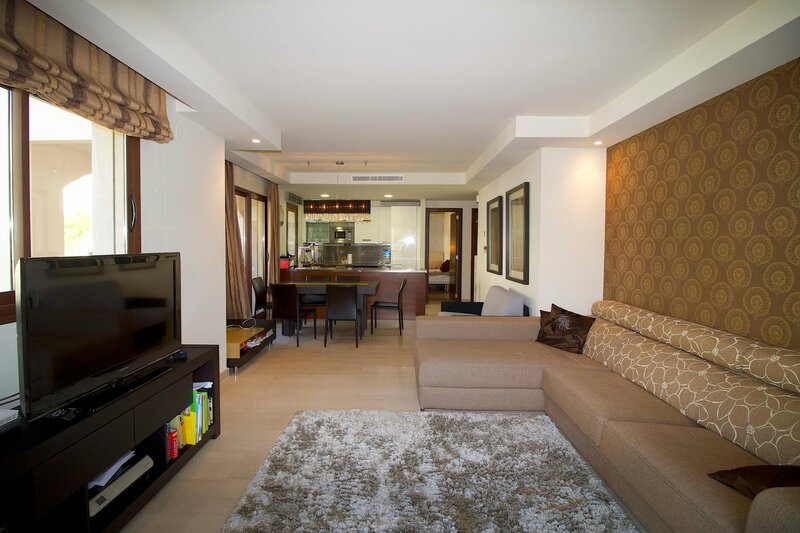 The complex has 24hrs security, landscaped tropical gardens and a large communal swimming pool. 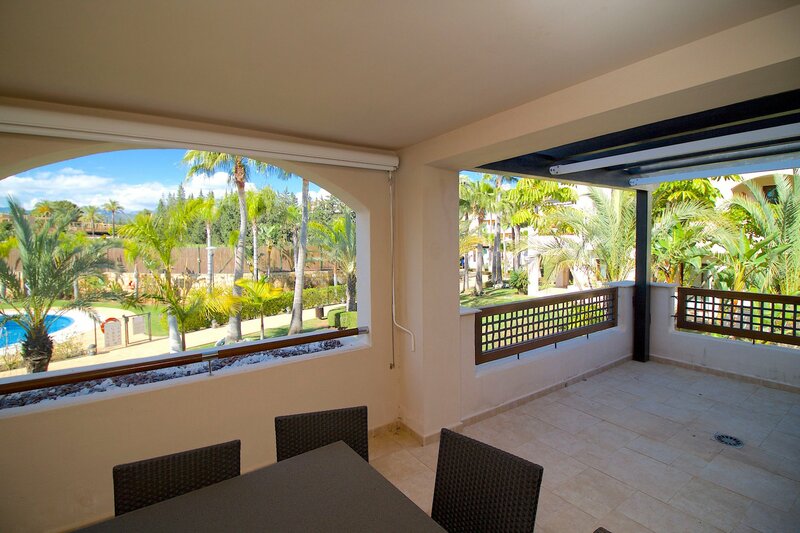 The apartment has a living and dining area with French doors leading out to the private terrace with lovely views of the gardens and pool; an open plan fully fitted kitchen; master suite with access to the terrace; a guest bedroom and bathroom. 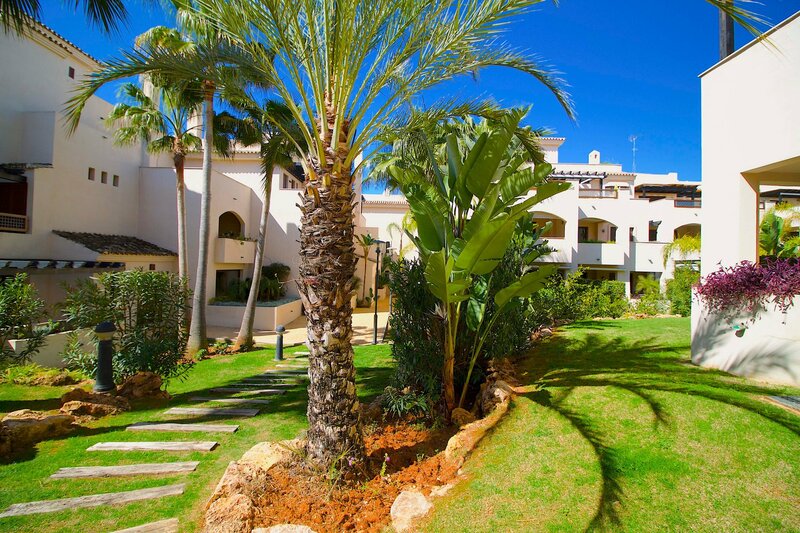 Other features include hot and cold air conditioning, marble floors throughout, double glazing, underground parking space and a storeroom.